With over 150 locations in 37 states, Fleet Feet Inc. is the largest franchisor of running specialty stores in the United States. But the headquarters isn’t located in the sunny city of San Francisco, the bustling market of Baltimore or the humongous metropolis of Houston. The brains of the operation are comfortably nestled above the Fleet Feet store located on 406 E. Main St. in Carrboro – a community that comprises just fewer than 21,000 residents. “If you look at where main running businesses are located, I’d categorize it this way: Boston, Portland, Seattle, Boulder — to some extent — and Carrboro, North Carolina,” said George Linney, the marketing and outreach coordinator for the Carrboro and Durham franchises. Fleet Feet is a store intended for runners. Their shelves are stocked with running shoes, running outfits, nutritional bars, foam rollers and heart rate monitors. The company was founded in 1976 in Sacramento, California. Tom Raynor, who had previously worked with Nike and Brooks Sports, purchased the company in 1993. Raynor, originally from the East Coast, wanted to open a corporate office closer to his home. He decided to hire Chris Bevin, the original founder of Carrboro’s Fleet Feet, to run the new corporate office. The headquarters officially moved to Carrboro in 2003. Fleet Feet has grown tremendously since Carrboro became its headquarters. In eight of the past nine years, Inc. Magazine has placed Fleet Feet on its list of 5,000 fastest growing private companies in the U.S.
Linney listed several benefits to having Carrboro as a headquarters: It’s where some of the key people live, it’s close to an airport, and it’s a convenient location for operation – partly due to Carrboro’s fitness demand. One of these contributions includes the Pub Run – a weekly running group that is held every Monday and Wednesday at 6:30 p.m. Runners gather in front of Carrboro’s Fleet Feet and run a route that eventually ends at YesterYears Brewery at 300 E. Main St. Runners can choose between routes of three, four and five miles. 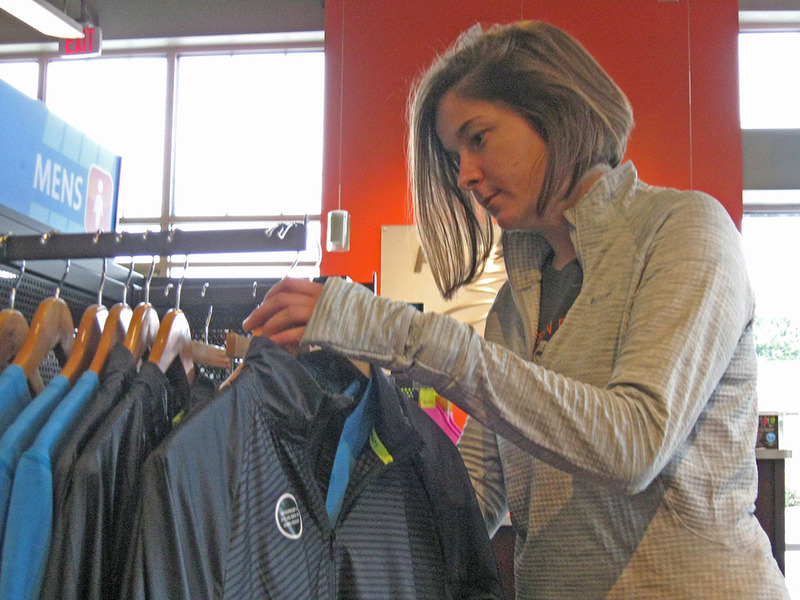 Nicole Mogensen, a sales associate at Carrboro’s Fleet Feet, has led the Pub Run a few times. She said the best part of her job is customer interaction. As a Pub Run leader, Mogensen has the opportunity to encourage a healthy lifestyle. Linney said that Carrboro’s Fleet Feet, along with the Durham franchise, offer more than 10 different training programs and serve approximately 1,000 clients. These programs include Make It a Mile, which helps beginners train mentally and physically to complete a mile, and the Boston 365, which trains runners for full and half marathons. Christen Campbell, who is a French teacher at Chapel Hill High School, has participated in the Pub Run and Fleet Feet’s Beat the Heat 5K with the Summer Speed Series. Campbell decided to join the Boston 365 program this winter because she said she missed the coaches and challenging workouts. Linney would like each customer to share Campbell’s feelings. He wants them to know about training programs, the store’s relationship with Habitat for Humanity, or about the free yoga classes. Linney hopes Fleet Feet gives customers an experience they didn’t expect to have. An experience that Linney said cannot be matched by larger athletic outlets based in the sunny city of San Francisco, the bustling market of Baltimore or even the humongous metropolis of Houston. Ben is a UNC-CH senior journalism and sports administration major from Pikeville, serving as sports editor of the Carrboro Commons.